This Ganesh Chaturthi, decorate your hands with beautiful yet simple mehendi designs. Take a look at our recommendations for some inspiration! Ganesh Chaturthi is round the corner. It is to be celebrated on September 17 this year. Hence, the Ganesh devotees have a reason to smile. The festival is celebrated with great fervor across India. The day denotes Lord Ganesha’s birthday, the eldest son of Lord Shiva and Goddess Parvati. Clay models of Lord Ganesha are made and worshipped for ten days. On the eleventh day, devotees take out the Ganesha idols for a procession and then immerse in water. Most women and children are seen excited as the festival mood is setting in. 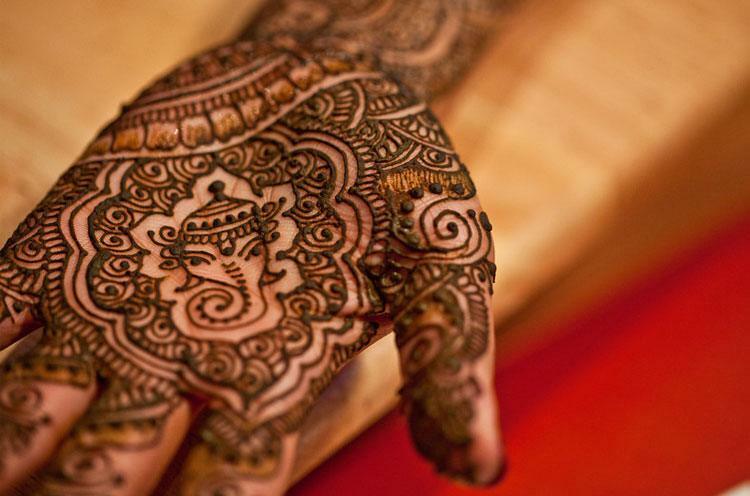 After decking up their homes with Ganesh rangoli, it is the application of mehendi that catches every woman’s fancy. Nothing can be more fulfilling than decorating your hands with beautiful mehendi designs that lends a conventional touch to the auspicious festivals like these. The tradition of applying mehendi is an age old and a unique feature in Indian festivals. Women love to decorate their hands with mehendi be it any festival. Just like other festivals, they decorate their hands with mehendi on Ganesh Chaturthi as well. The designs can involve intricate floral patterns, mango motifs or even Ganesha mehendi designs. 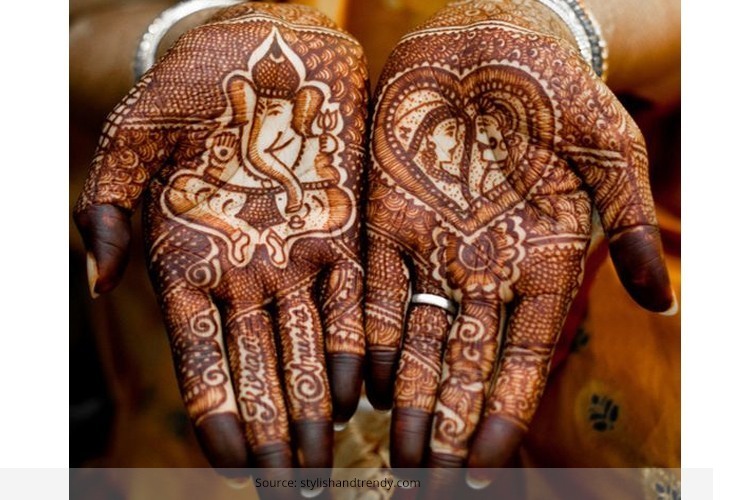 Ganesha mehendi design is one of the most sacred forms of design that the women love to adorn their hands with. This beauty of a Ganesha design can also instill an unending faith for the lord in you. You can also lend a modern twist to your mehendi designs by adding a hint of sparkle or stones. The Arabic mehendi designs, involving floral art depicted in a vertical flow, may also jazz up the festivity. You could opt for any of these mehendi designs to pay your best form of worship to the lord on the pious occasion of Ganesh Chaturthi. We bring to you 15 simple mehendi designs you can adorn your hands with on the occasion of Ganesh Chaturthi. Go through all the designs and get inspired to flaunt your hands with these beautiful and simple mehendi designs. Wishing you all a very Happy Ganesh Chaturthi in advance!